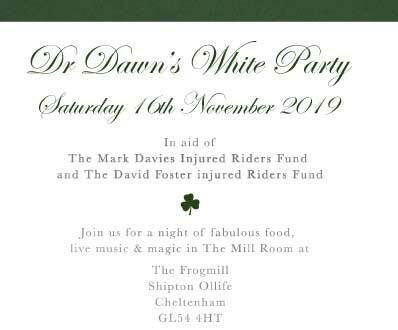 In 2019, Dr Dawn Harper from Channel 4’s “Embarrassing Bodies” will, once again be hosting her “White Party” and this year she has chosen Mark Davies Injured Riders Fund and the David Foster Injured Riders Fund ( for Irish Injured Riders) as her nominated charities. Jonty Evans, who is recuperating from a serious head injury incurred in a fall at Tattersalls on June 3rd 2018 will be supporting this event. Jonty taught Dr Dawn’s daughter through her pony club years who then went on to spend her gap year working in his Gloucestershire based yard. We are delighted to report that Jonty has defied all odds and is recovering well. 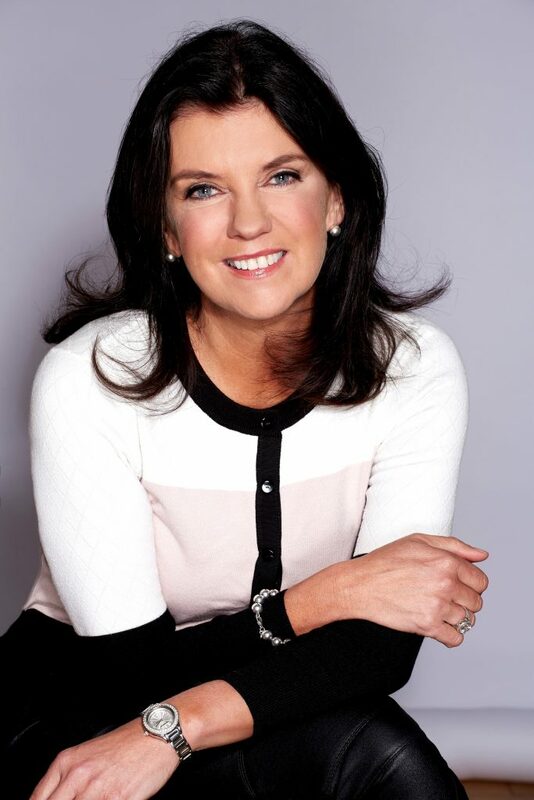 Dr Dawn’s White Party is a high end three course dinner with live entertainment. Guests are asked to simply “wear white”. Anything goes from cricket whites and tennis kit to tuxedos and wedding dresses! In 2019, the party will take place at the newly refurbished Frogmill Inn https://www.thefrogmill.co.uk/ on November 16th 2019, and this year, in support of Jonty, guests will be asked to “wear white with a touch of green” to reflect Jonty’s green cross country colours. Click on the links below to buy your tickets – Tickets are available in tables of 10 or in smaller numbers. If booking in part tables please complete the form to tell us who you would like to be sitting with and we will try our best to accommodate all requests. Thank you so much for your support. We very much look forward to seeing you there!! You can also download the flyer for this event here.